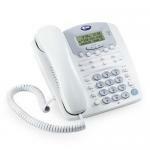 The telephone or phone is a telecommunications device that transmits speech by means of electric signals. Generally attributed to the inventor Alexander Graham Bell, the first was built in Boston, Massachusetts, in 1876. However, an Italian inventor Antonio Meucci is said to have invented the device in 1849, and in September 2001, Meucci was officially credited by the US Congress with the invention of the telephone, instead of Alexander Graham Bell.